For the third year in a row we spent that awkward bit between Christmas and New Year at Butlin’s Skegness on their “Christmas Party” break. This starts on the 27th December and ends on the 30th. It’s actually really nice to do this. We often spend this time going a bit stir crazy at home so taking a few days to have some fun with the grandparents, for us, is a great option. Butlin’s at this time is pretty good. It can get a bit cold but all the chalet and apartment accommodation has heating, and there’s lots of things to do indoors if the weather is unkind. The Christmas atmosphere is not quite as Christmassy as if you go before or during Christmas itself. Events and attractions like Santa’s Grotto are advertised in the What’s On Guide but not available for these dates. There are Christmas decorations and trees around but not much else to be honest. We didn’t see Santa or any other Christmas characters, nor was there much Christmassy music. There was however, as always, plenty to do for all the family. 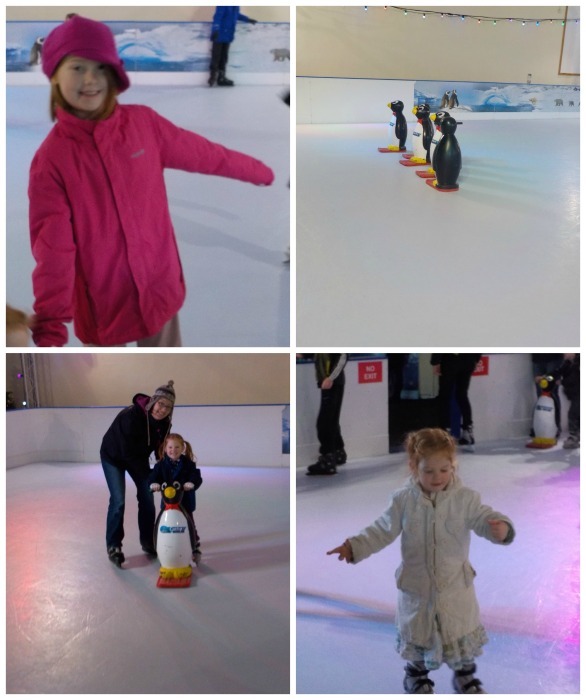 1) Ice-Skating – this year the ice-skating was indoors, which was a welcome measure considering the horrid weather we had. It’s the plastic surface rather than real ice but it is really good. You have to book this in advance at Discover Butlins in the pavilion to ensure the ice doesn’t get too crowded. There were plenty of boots and penguins to use, and a marshall to help out if you needed it. We love the ice-skating and went twice, although you’re only allowed to book one session at a time. Top tip – book it as soon as you get there and you might be able to squeeze two sessions in during your trip. 2) Water world – we love the splash zone which has seen huge investment recently. There is a lagoon-style pool with wave machine, a circular regular depth pool, an area with a cave and rapids, a large shallow kiddy pool with fountains and slides, and three big rides – a family rubber tubing ride, a very fast flume, and a moderate flume which drops you into a vortex where you go round and round like a spider down a plug hole. – the outdoor raft rapids are closed for the winter season, as is the outdoors hard area with fountains and water jets. The changing rooms can be a bit of a bun fight, as can finding a locker large enough for all your things. Top tip 1) Take a few pound coins as you may have to split your family’s belongings between a few small lockers. You will get the money back. Top tip 2) Go swimming on the morning of departure (30th December) as it’s far less busy and really quite pleasant, with tiny queues for the slides, and a fair chance of getting a family-sized changing booth and locker. 3) Supervised activities – check your What’s On Guide on arrival and choose the activities you want to do. Take notice of the recommended ages, and book your chosen activities at Discover Butlin’s as soon as possible. They get full very quickly. This year, we booked Archery and T-Shirt design for the 10-year old (for a small charge each) and she really enjoyed them. If you can’t book a particular activity, then make sure you get there early and queue. Even if you get there bang on the advertised time, there is a chance you will be turned away, especially for the more popular activities. When we went, we queued for the 5 – 8 year old Christmas crafts a good 15 minutes before doors were opened and although we got in comfortably, there were people in the queue from about 5 minutes before who did not get in, so be prepared. 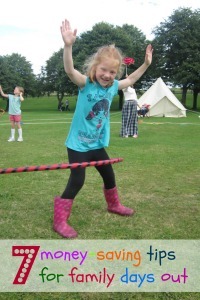 Top tip – some activities are ‘drop and run’ which is awesome. Get yourself down to the coffee lounge or, even better, the spa! 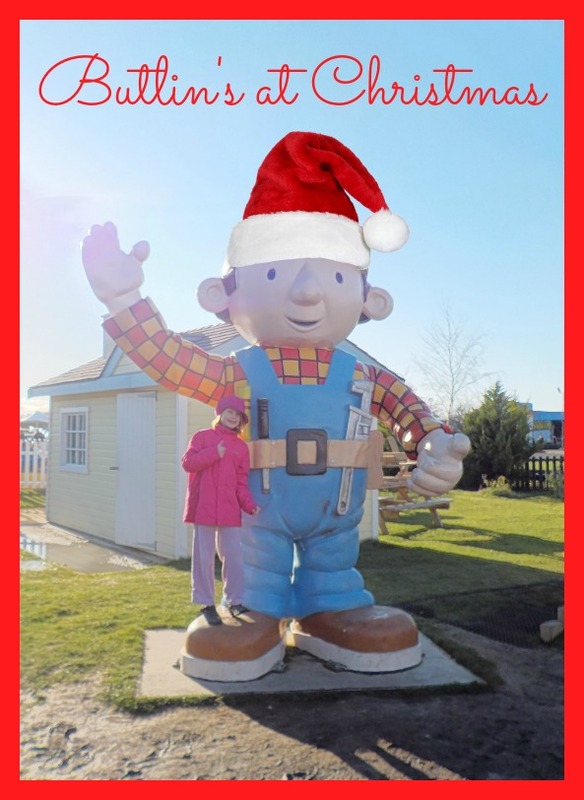 4) Panto – we LOVE the Butlin’s Panto. It’s on a par with our local Panto in terms of acting and jokes, but a bit shorter to cater for a younger audience. The Panto gets very busy and you can’t book, and although there is plenty of room in Centre Stage it soon gets full. The children are allowed to sit on the dance floor to watch if they prefer, and there is room. This year was Beauty and the Beast, and it was pretty good, and all for free! 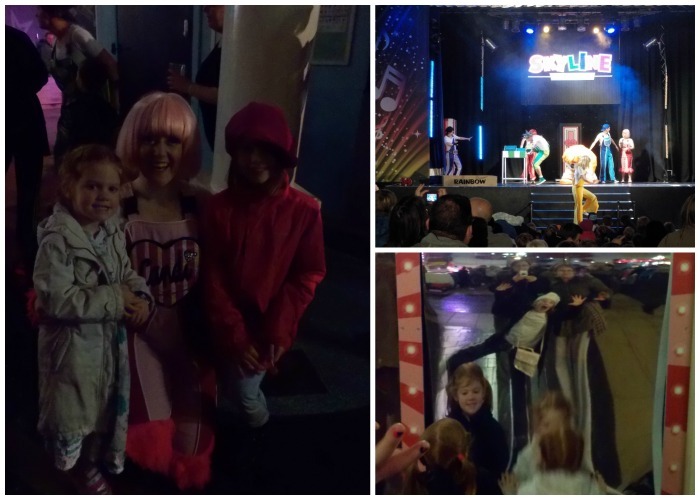 5) Skyline Pavilion entertainment – There is a lot of free entertainment at Butlin’s at various venues but we usually choose to stay in the Pavilion. The Pavilion is home to the Skyline Gang and their shows are very popular with our girls, and just the right length and energy for youngsters. We’re not sure about the Skyline Gang’s latest recruit, but then we said that about Rainbow the dog, so what do we know? We don’t tend to go in the larger venues as they can be a bit noisy, and you have to fight for a table (assuming there are some free in the first place), but there are some great acts on. My girls didn’t want to see the superstar wrestling (boooo) or the tribute acts, so we stayed in the pavilion where we could watch character shows from Angelina Ballerina, Bob the Builder, and Barney the dinosaur. What fun. 6) The funfair – again, all for free! Lots of rides for all ages, though some of them close during quiet periods, and over lunch. Some of the rides are a bit tatty, and the parasol ride is about the scariest. We visited every day. It’s a great way to fill an hour before tea. There are some extra things you can pay for like the bungee-trampolines, but all the little kiddy rides are free and if you’re lucky, you might get another turn straight away. 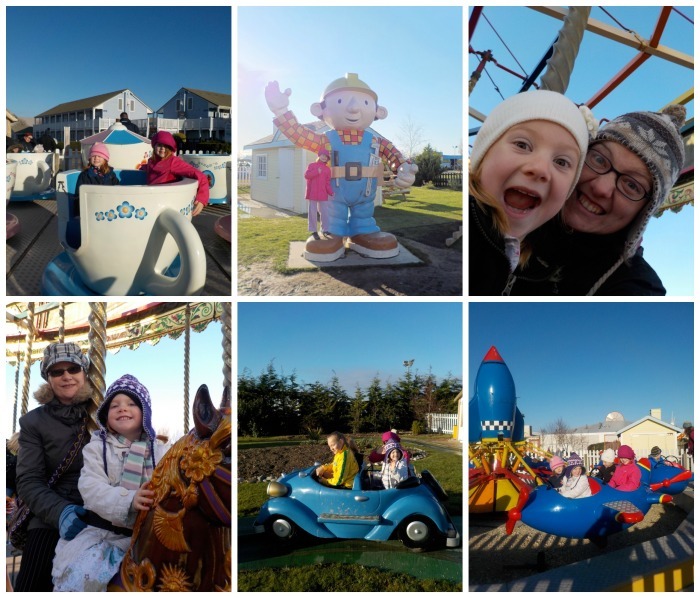 We love Butlin’s and will probably be going again next year. If you like the sound of this break then you can either book very early and try and take advantage of the early-bird discount, or leave it until about 8 weeks before although you risk not getting anything at all. Always phone the booking centre if you can as you are more likely to get a better deal than by paying the online price. Hint – we got our break for around 1/3rd of the brochure price by phoning. 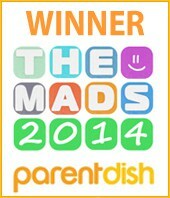 I highly recommend the dining plan option. This is where you pay upfront for dinner and breakfast to be included. You will eat in one of the large dining rooms, where breakfast is buffet style, and dinner is self-service from a range of options. There is also a salad bar, and hot and cold (soft) drinks are included. This is a great option and much cheaper than eating at one of the resort’s restaurants, though some people don’t like the bustle of the dining rooms. Book this in advance because they sell out quick and it’s unlikely you’ll be able to add it on later when you’ve changed your mind. There are also some pay-as-you-go restaurants on site, such as Ludo’s Italian restaurant, which was reasonable, and The Sun and Moon pub, which is suitable for all the family. If you’ve never been between Christmas and New Year, it’s basically Butlins on a Christmas theme with Panto and ice-skating. A great way of cramming some extra fun into the Christmas period.